A wanted man's brazen taunts to a police department on Facebook may have backfired sooner than he expected. The faceoff started on Friday when Redford Township Police Department in Michigan, US posted about a home invasion on Facebook. 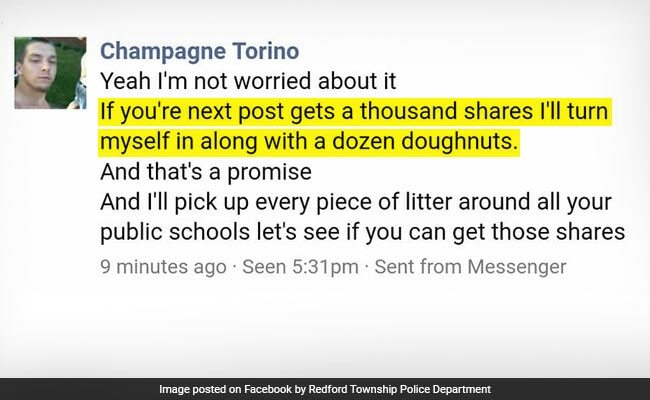 A man by the name of 'Champagne Torino' posted several nasty comments mocking the police department. Despite threats to block him, he didn't stop. Then, in a surprise challenge, the man, with multiple arrest warrants against him, offered to turn himself in if the police department managed to get 1,000 shares on their next Facebook post. He also threw in some free doughnuts to sweeten the deal. "If you're (sic) next post gets a thousand shares I'll turn myself in along with a dozen doughnuts. And that's a promise," he dared. The department jumped at the opportunity to bring the man in with a mere 1,000 Facebook shares and asked its followers to get the job done. Also, free doughnuts were involved. 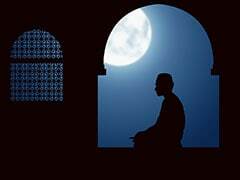 The target was achieved in less than an hour. Although, Mr Torino is yet to surrender, but he has officially run out of excuses. As for the post, it stands at over 4,300 shares at the time of writing this. "He may or may not be a man of his word. It is our experience everyone gets caught at some point. He has drawn a lot of attention to himself, and that makes it hard to hide from reality," the police department wrote in a philosophical post.